A wood block print of two lively pekingese playing in the fields. Pekingese dogs were known to be the emperors’ pets, roaming about in the palace. 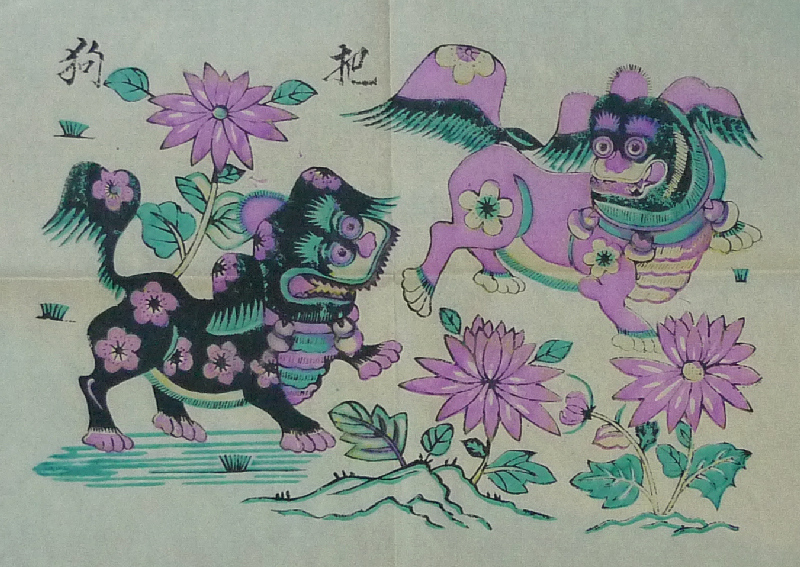 This print is paired with a print of 2 shi zi (lions) playing which will be on tomorrow’s post.